The Kirkland Fuel Tank Replacement Project reached a milestone on Thursday, Nov. 30, 2017. 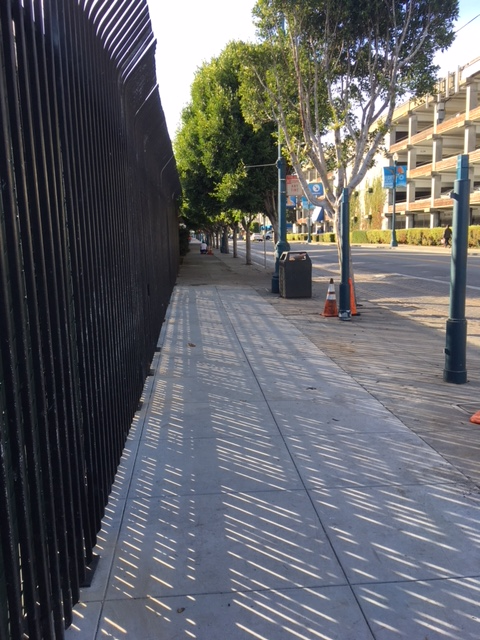 Crews have completed the work that required the closure of the sidewalk next to the job site along Beach Street between Powell and Stockton streets. The sidewalk has reopened to pedestrians. As a result, the regular E and F stop west of Stockton Street will resume service to Muni customers on Monday, Dec. 4. To date, the two new tanks have been installed and the pit backfilled. Next, crews will be replacing the sewer lines as part of the project. At the same time, the installation of piping and dispenser systems will continue. This work will take longer than expected, because a design change to improve the system requires additional permits from other city agencies. The permitting process will take extra time. We are now anticipating the completion of construction in spring 2018. Once complete, the project will bring the tanks up to code, improve safety and make fueling faster and more efficient.